New Book! 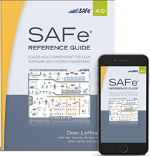 SAFe 4.0 Reference Guide released! 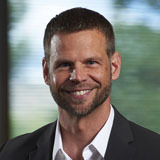 Drew is co-founder, SAFe Fellow, and Principal Consultant of Scaled Agile, Inc. His purpose is to make people's work lives happier and more satisfying while improving business outcomes for the world's largest enterprises. After starting his career at Anderson Consulting in the late 80s and early 90s, he moved to Van Kampen Funds, a subsidiary of Morgan Stanley, where he used early adaptive methods to define and build new software products and migrate off their legacy systems. Following that, he joined a private startup consulting firm of 40 employees. As IT Director, he helped it grow to a global public company of 1,700. In 2008, Drew began an enterprise Agile consulting company, Fast Frontier. Drew met Dean Leffingwell in early 2009 when he was developing an enterprise Agile framework for a management consulting company to bridge their strategic business framework with Lean and Agile. In 2011, he formally partnered with Dean Leffingwell to roll out the first iteration of the Scaled Agile Framework (SAFe). Today, 80% of Fortune 100 companies have SAFe-trained practioners. He feels well on his way to accomplishing his purpose!. 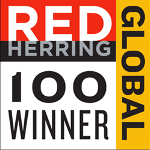 Drew applies his expertise at the portfolio, program, and team levels to help large companies deliver products faster, increase quality, and improve employee satisfaction. As part of the leadership team of Scaled Agile, Inc., he serves clients, and helps internal change agents and external consultants gain the knowledge and experience to apply the Scaled Agile Framework.